/ News / Will Aston Martin’s Mid-Engine Sports Car be Called the Vanquish? And "be the most beautiful mid-engined car on the road"
Along with the DB7, the original Vanquish deserves credit for establishing Aston Martin as a stylish, desirable brand. Part of that can be attributed to its role in the 2002 James Bond movie “Die Another Day”, but it certainly didn’t hurt that the Vanquish was far better looking than the Virage it replaced. But this year, Aston Martin introduced a new car to replace the Vanquish: the DBS Superleggera (shown above). According to the latest rumor, though, the Vanquish will soon be reborn as something completely different. 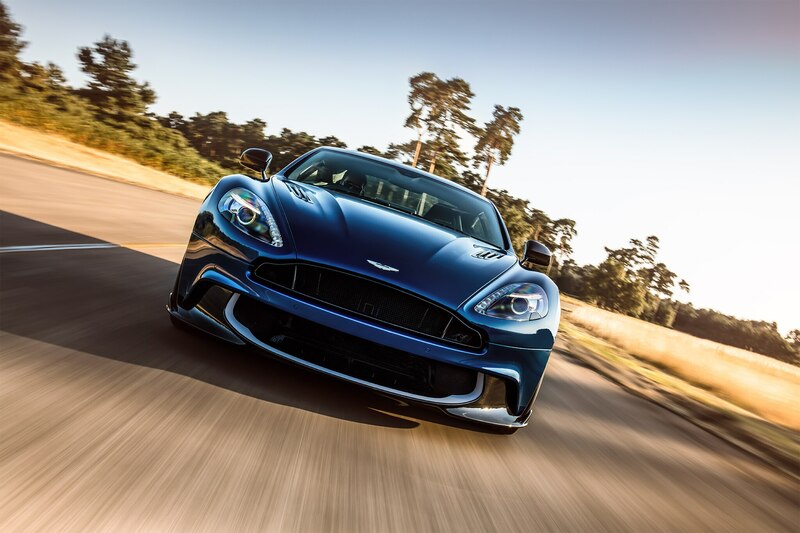 Speaking with Australia’s Motoring, Marek Reichmann, Aston Martin’s chief creative officer, strongly hinted that the British automaker plans to use the Vanquish name on its upcoming mid-engine sports car. “Without saying yes, that sounds like a plausible solution for a beautiful name like Vanquish,” he said when asked about applying the name to the new mid-engine car. Reichmann also reportedly claimed the new sports car was aimed squarely at other mid-engine supercars such as the Ferrari 488 GTB, Lamborghini Huracan, and McLaren 720S. “It will be the most beautiful mid-engined car on the road … with all the learnings from Valkyrie,” he said. On the one hand, customers may find it confusing for Aston Martin to turn the Vanquish into a mid-engine sports car while insisting the DBS Superleggera is the replacement for the old Vanquish. But it’s also way too cool a name to stop using entirely. Thankfully, we won’t have to decide how we feel about the possible change for a while. Last we heard, the mid-engine sports car won’t arrive until 2021.